Search engine optimization (SEO) is a unique game of art, science, and continual testing of strategies (that actually work) in order to rank web properties higher in search engines. Not every webmaster has the time or resources to learn every new strategy and trick or to even know about new updates in an ever-changing industry. Google doesn’t provide details of their algorithmic changes, but thanks to public updates and details from recent patents, and research from professionals within the SEO community, we can get a good glimpse of what Google has in mind. This can have a positive impact on our SEO work and help to boost our site’s rankings now and for the longer term. The following are the top 7 techniques you should consider. 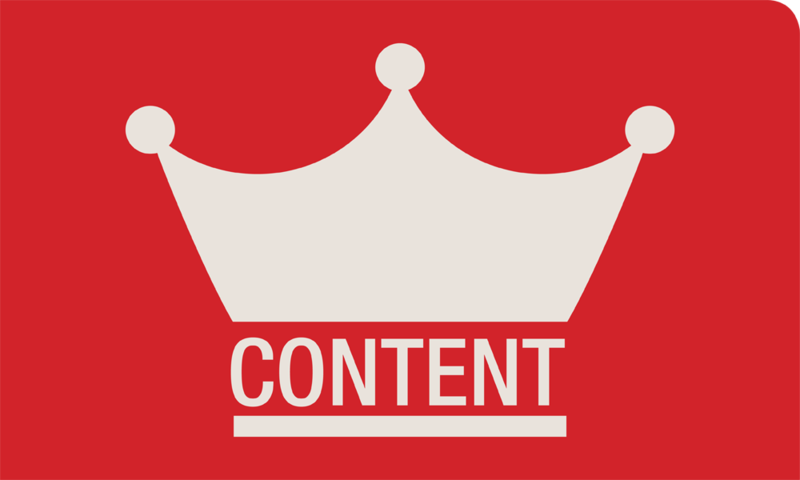 Everyone in the SEO industry has heard many times that “content is king”. This is, perhaps, the only thing that will not ever change. Do not forget that the ultimate goal of search engines is to provide the most relevant content to their users. Now more than ever, it is crucial to create content that caters to the search intent of online users, one that answers their queries effectively so that they wouldn’t need to jump to the next option in the search engine results pages. Also, remember that it isn’t all about keywords anymore. Google has become a lot smarter in terms of understanding what an article is about. Concepts like “intent” and “context” for terms used in queries expand the notion of “conversations”, rather than the sole keywords focus. Now, it is vital that you avoid overusing keywords and instead drill down into delivering the best content possible within your topic. And, optimize all content for your user’s intent and create better engagement. Back in April of this year, Google announced that they released their mobile-friendliness algorithm. This is aimed at providing a better user experience for mobile web visitors. Mobile searches have surpassed desktop searches in terms of inbound web traffic. It comes as no surprise that Google puts more emphasis in making their results pages more mobile-friendly. The update affects searches done in smartphones. It is imperative to create a website that has a responsive theme. If you fail to do so, you may lose 30% of your overall traffic and also decrease your conversion rates. If your website hasn’t been optimized to be mobile-friendly, then look for mobile responsive templates and other platforms that can help you transform your website. In the not-so-distant past, Google tried to convince webmasters to use Google+ to promote their content. They also heavily encouraged the use of Google Authorship, which placed a photo and a byline in the search listings. However, they have since ended their authorship program, saying that it didn’t help their users as much as they had hoped. Correlation studies now point out the significant correlation between social signals and rankings. Google has repeatedly denied that they use social signals as one of the factors in determining a site’s rankings. However, it is only logical for them to start using social signals as these indicate great user engagement. 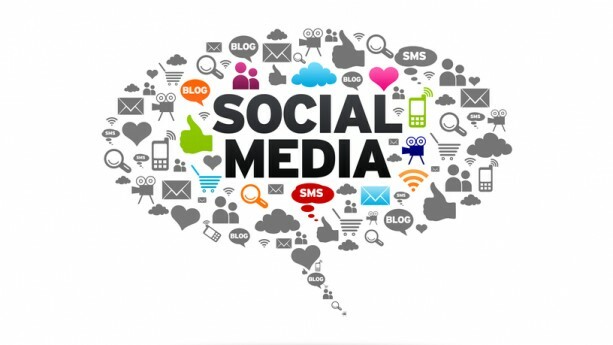 Web pages that rank high in the results pages have a better chance of getting likes and shares on Facebook and Twitter. Content that gets shared a lot on social media is also more likely to get links from other blogs, which may improve search rankings. In fact, Google has even partnered with Twitter to provide tweets in search results. Although social signals aren’t used, social can indirectly affect your rankings and SEO. A recent patent was filed by Google, and it seems that they now differentiate between express links and implied links. Express links are what we usually call backlinks, or links from external websites pointing back to a page in your website. Implied links, on the other hand, include references or brand mentions without actually linking to the website. Google may place more emphasis on implied links because of the widespread abuse of link building. It is interesting to see webmasters experiment with links-to-mentions ratio in an attempt to determine what sort of mix would boost their rankings. Proper security measures are now taken into account in improving a site’s rankings, especially when the site processes online payments and manages personal customer information. The use of security certificates and HTTPS instead of HTTP are just a few ways to help your website rank higher in the search engines and build trust in the eyes of your visitors as well. The world wide web is fast becoming a visual gallery, with millions of websites making use of high-quality images, infographics, GIFs, and videos to promote content and increase user engagement. Numerous studies have shown that videos and rich text are more effective at retaining the attention of visitors than traditional text. Part of your content marketing strategy should be to find ways to deliver information in a more entertaining fashion. It’s recommended that businesses can use Pinterest and infographics to gain more traffic to their website. They’re visually enticing and help to capture audiences’ attention. The debate continues about whether or not user experience has a significant impact on rankings, but there is no question that it could only help your site. A site that ranks on top of the search listings can prove to be of no use if it doesn’t provide the kind of user experience every online visitor looks for. This involves the proper use of navigation menus, side bars, pop-up forms, and even mobile usability. Ultimately, improving user experience can help improve your rankings and, more importantly, your conversion rates. User experience optimization is the new SEO. 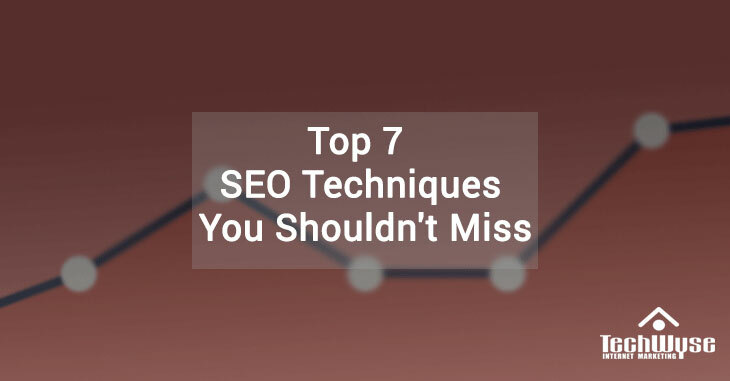 Did you miss any of these top 7 SEO techniques for your business’ marketing strategy? If so, start taking action and implement these tips now and into early next year on your website to boost your rankings, drive more traffic to your site, and increase conversions. Jon Rognerud is a recognized authority on SEO, who has spent more than 20 years creating and managing web and marketing projects from small to large companies, including positions at online giant Yahoo!. He is the founder of Chaosmap, a leading Fortune 500 search marketing company and WordPress development center in Los Angeles, California. They plan, build and deliver profit-making SEO, PPC and Social Media training, online consulting as well as breakthrough speaking seminars. See more on his personal website, http://www.jonrognerud.com His latest book, “The Ultimate Guide to Optimizing Your Website” from Entrepreneur Press is available in bookstores nationwide. Hey Ann! Much obliged for your remark 🙂 You’re correct, having an adjusted connection profile is additionally critical to Google rank locales better on their internet searcher! Thanks for your input, great point! A late patent was documented by Google, and it appears that they now separate between express connections and suggested joins. Express connections are what we more often than not call backlinks, or joins from outer sites indicating back a page in your site. Great article. 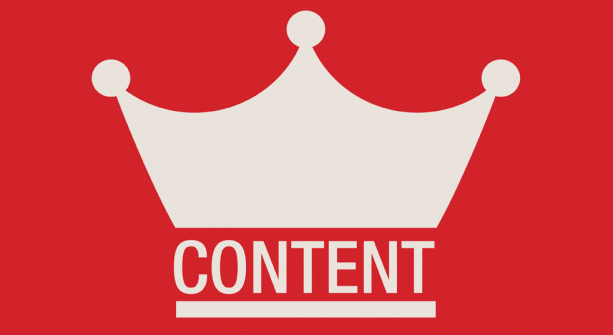 I agree with pretty much everything on this list, especially the first one: Content is Still King. This is something that should be simple and rather obvious, but a lot of us seem to forget about this from time to time. Some people follows and nails and all the other steps but they get carried away and somehow end up lacking on this part, when this should be the their first and main foundation. I’m fairly new to SEO, and have found this article to be very interesting and informative. Some of the items mentioned, such as the security and availability of mobile access are important to me, and are things that can make or break a site, in my opinion. I’ll be sure to pass this along to my friends who could use the information. I love this list but I would love to touch up on one thing that I feel that a good natural amount of inbound and outbound links are important not only for your internal site structure for your page, but to help search engines better determine what particular pages are more valuable than the others. Anyways, thanks for sharing! Good list, and a fairly up to date one too! Hey Ann! Thanks for your comment 🙂 You’re right, having a balanced link profile is also important to help Google rank sites better on their search engine!